I learned to spin at a shop in my old neighborhood. The wheel I sat at for two days was an Ashford traditional, and I was joined only by two other women and our teacher. Even to this day a few years later I carry the lessons I learned over those two days very close to my heart. Before venturing out into the world of wheel spinning, Andy got me a drop spindle kit and I spent a few months trying (desperately) to figure out how to make yarn with that thing. Needless to say, I was unsuccessful and frustrated and just wanted to move on to a spinning wheel because I just knew that the problem was with that cruddy little spindle. Well, I wasn't wrong. At least not entirely. I was very lucky to have my first moments at the wheel feel like magic, but I think that had a lot to do with the struggles I had with that cruddy little spindle. 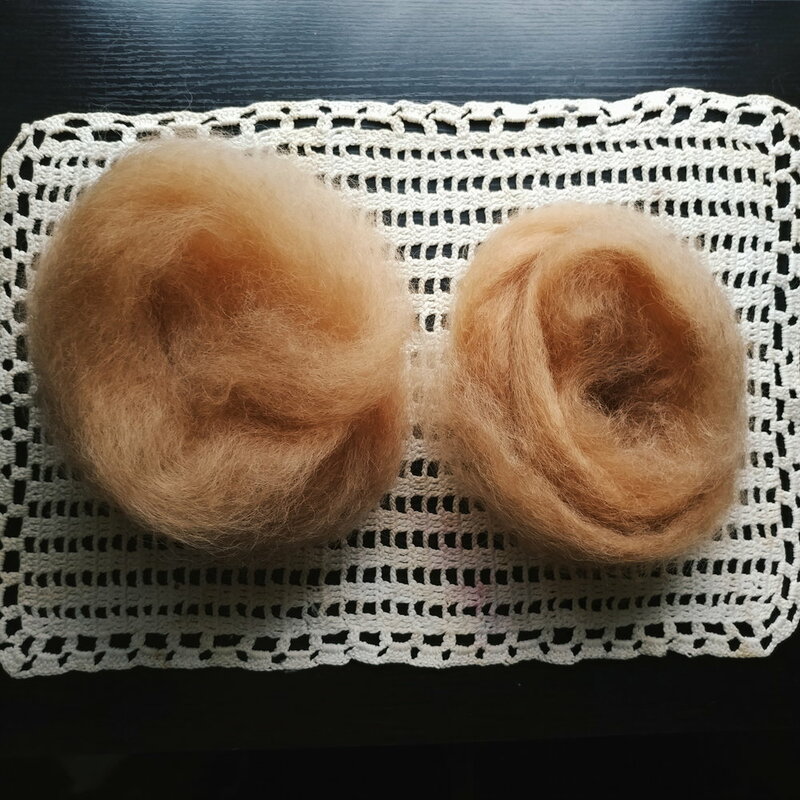 One lesson I learned that helped me enormously was that pre-drafting roving makes a world of difference. 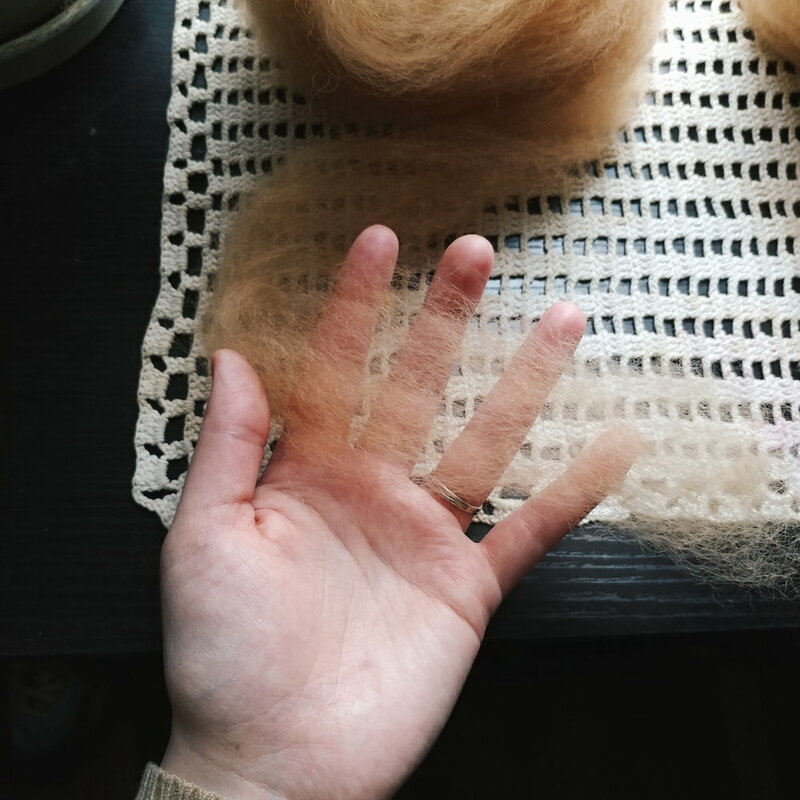 Take for instance the foto above, to the left is a nest of pre-drafted fiber and to the right is a nest of straight up roving. Notice how airy and floofy the left nest looks. Notice how the individual fibers have been opened up and are ready to be pulled apart just a bit more to invite the twist in. What didn't come with that cruddy little spindle were any instructions at all about how to prepare your fiber before spinning. Naturally, when attempting to spin straight up roving on a light-weight spindle made of balsa wood one will encounter little success. There are, it seems, two camps of folks; those who pre-draft and those who don't. 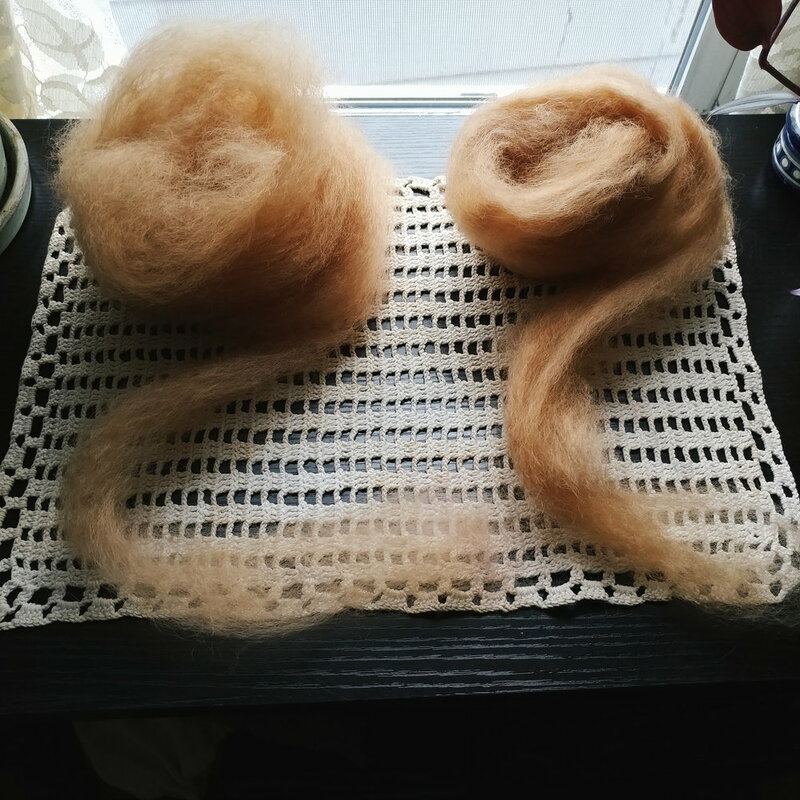 Having tried both methods, I'm definitely of the former group - pre-drafting can really make the difference between a happy and a frustrating spinning experience!